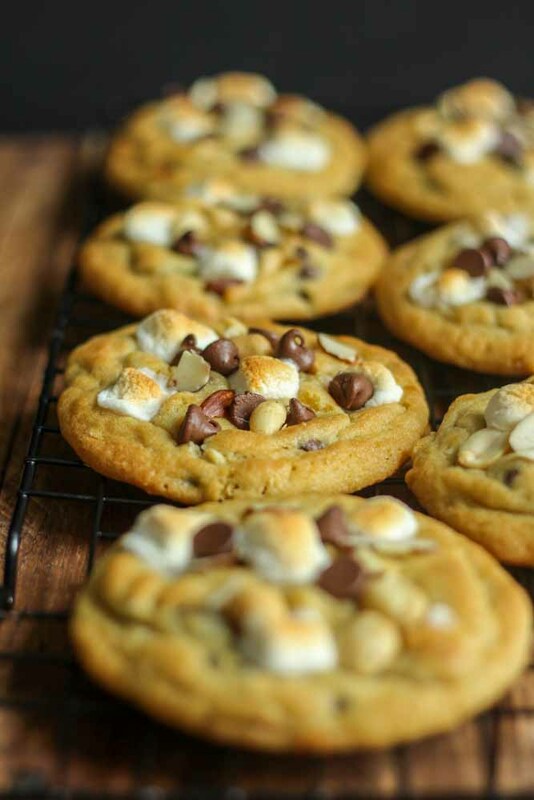 Our famous chocolate chip pudding cookies turned summer classic: Rocky Road Cookies! 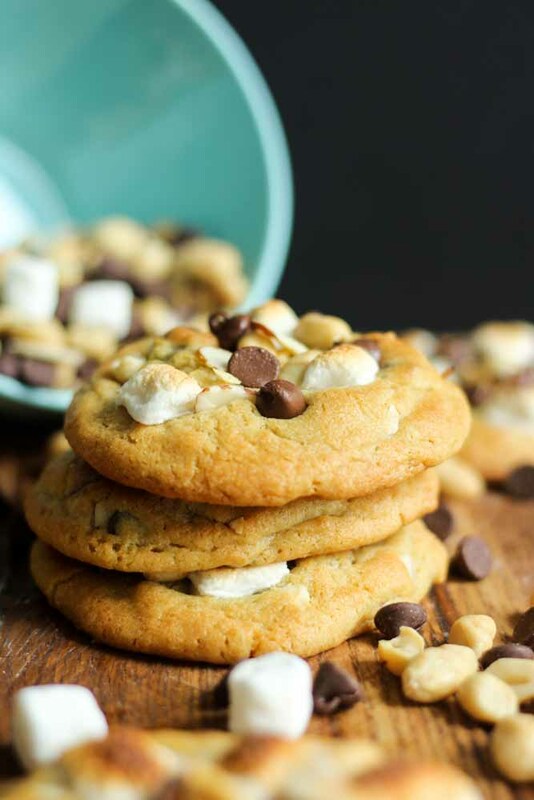 These warm and gooey cookies are filled with nuts and chocolate chips and topped with a perfectly toasted marshmallow, just what you need this summer! 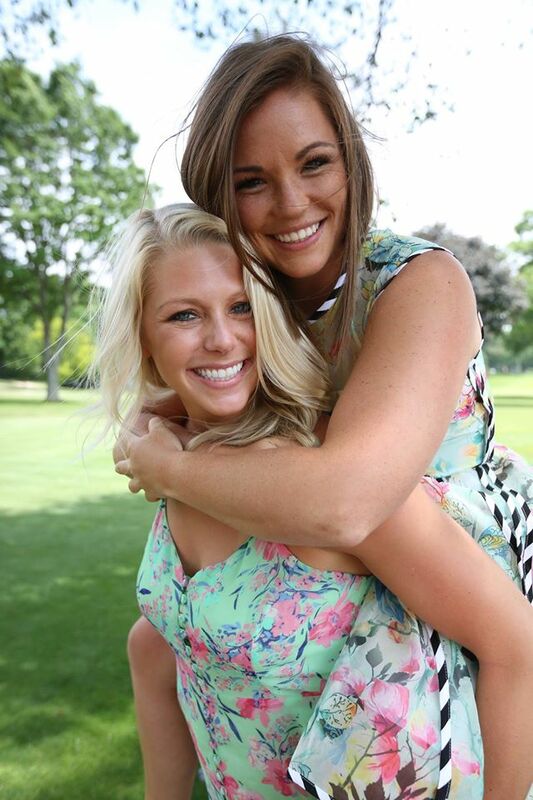 Hey ya’ll, Molly and Chelsea here! We’re the besties and food bloggers from Bests and Bites. We’ve been best friends for over 20 years (so like, 90% of our lives) and we love nothing more than food, health/fitness and pool days! 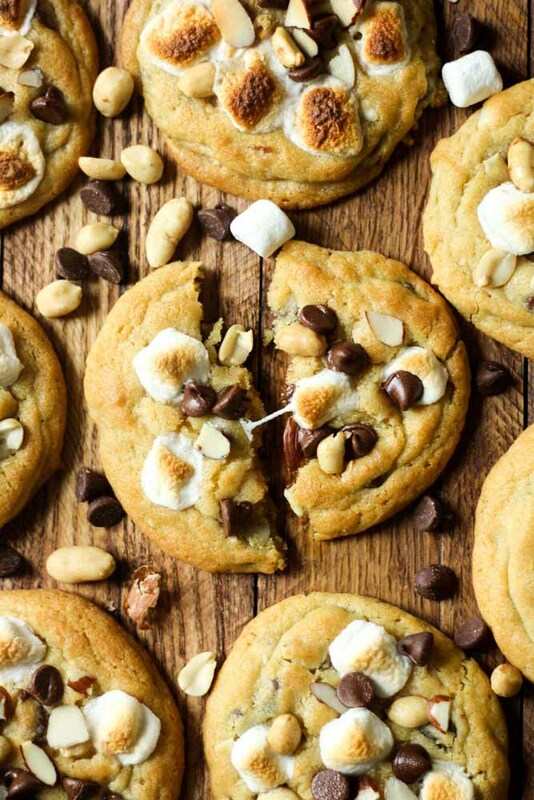 We’re so glad we could share this recipe with you and hope you love making it this summer! Guys! 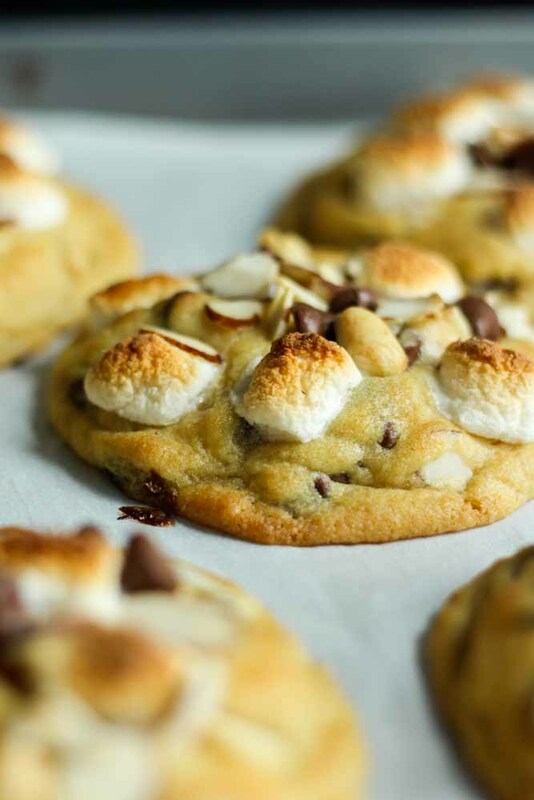 There is nothing we love more than a warm and gooey chocolate chip cookie! We’ve (literally) spend years perfecting this recipe and today we put a twist on it to celebrate one of our favorite summer flavors: rocky road! When we were young babes Molly’s dad would go to the grocery store and stock up on Rocky Road. After a long hard day of swimming( seriously, we used to spend around 9 hours at the pool a day), we would take our showers and sit down on the couch with a big bowl of Rocky Road to finish the night. So this summer we wanted to re-create one of our favorite summer traditions by adding it to a classic. AND IT WAS AWESOME. One of the best creations that’s come out of the Bests and Bites kitchen. They are that good. There are a couple of tricks to making these just right! That last one is key, trust us. There were a couple (a dozen) cookies that got a littleeee too toasty. We ended up squatting by the oven when it’s on broil to physically watch the marshmallows and pull them out at the exact right time. For us it was about 35 seconds to golden brown perfection. 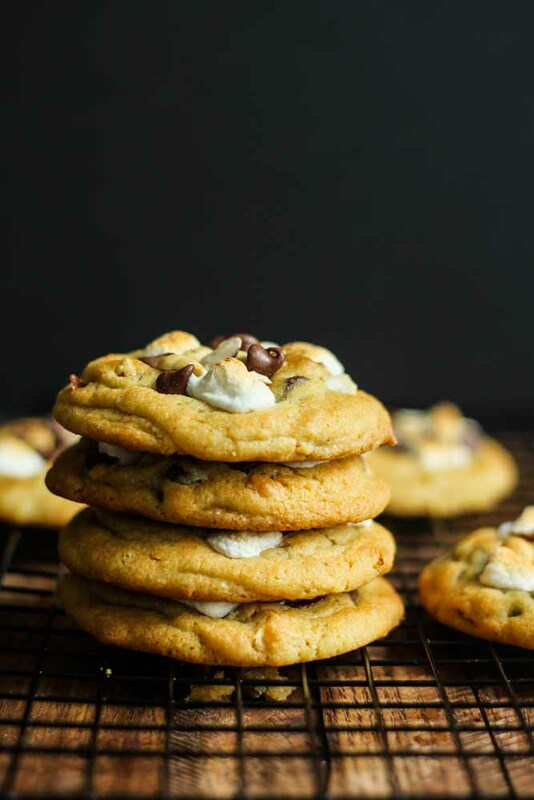 If you follow these tips you will end up with the most chewy and soft rocky road cookies that everyone will love to eat this summer! Using a stand or electric mixer, combine the butter and sugar until creamy. Add the pudding mix, vanilla and eggs until well combined. Slowly add the dry ingredients to the wet ingredients and mix until just combined. Add chocolate chips, almonds and walnuts and stir with a rubber spatula. Measure out dough into two large tablespoons and roll into a ball then drop onto the prepared baking sheet. Bake for 10-12 minutes, or until slightly golden and just set on the top. Pull cookies out and turn on the broiler. 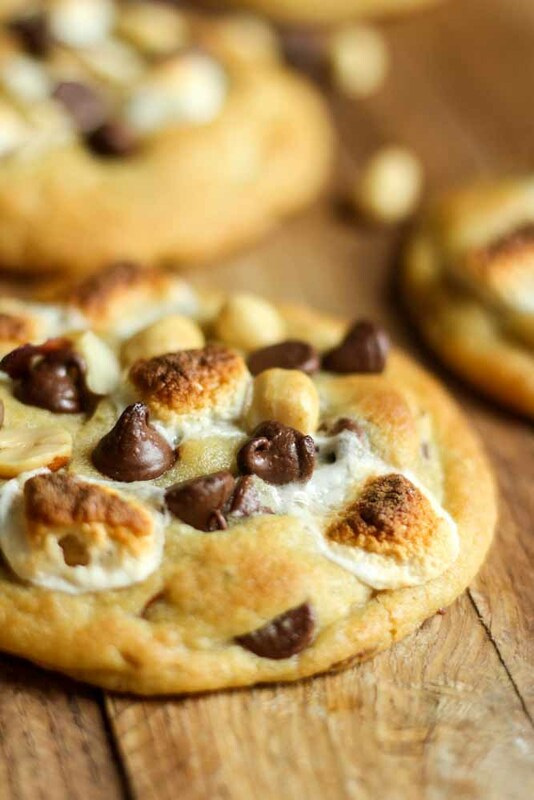 Top cookies with more almonds, walnuts and marshmallows. Place back in the oven until marshmallows are lightly golden on top, about 30-40 seconds. Allow to cool on the baking sheet for five minutes then transfer to a baking rack to cool completely.